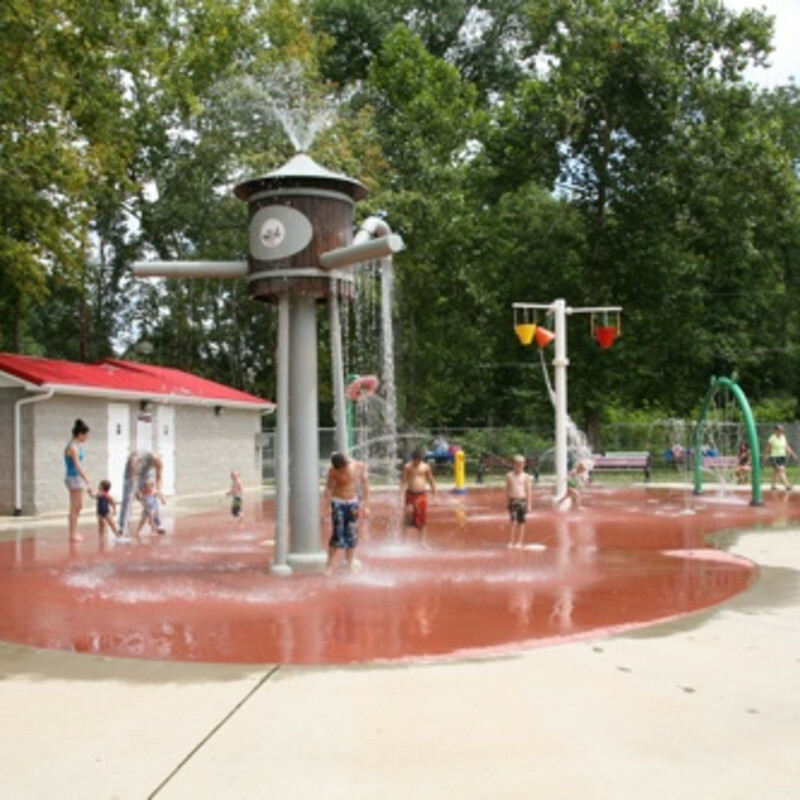 Sprayground, located behind the reservoir at City Park, is a fun and interactive play park that is ideal for those hot and sunny summer days. Children run and squeal with delight as they get splashed with water from all angles. Little ones will spend all day exploring with the low-pressure water that shoots up from the ground. Older kids will run from one high-pressure water fixture to the other, enjoying the feel of the cool spray on their skin. Benches are provided for parents to sit around the spray pad, and a canopy of trees nearby provides shade. The water itself is recycled back into tanks and re-treated on site for proper chlorination and PH levels.